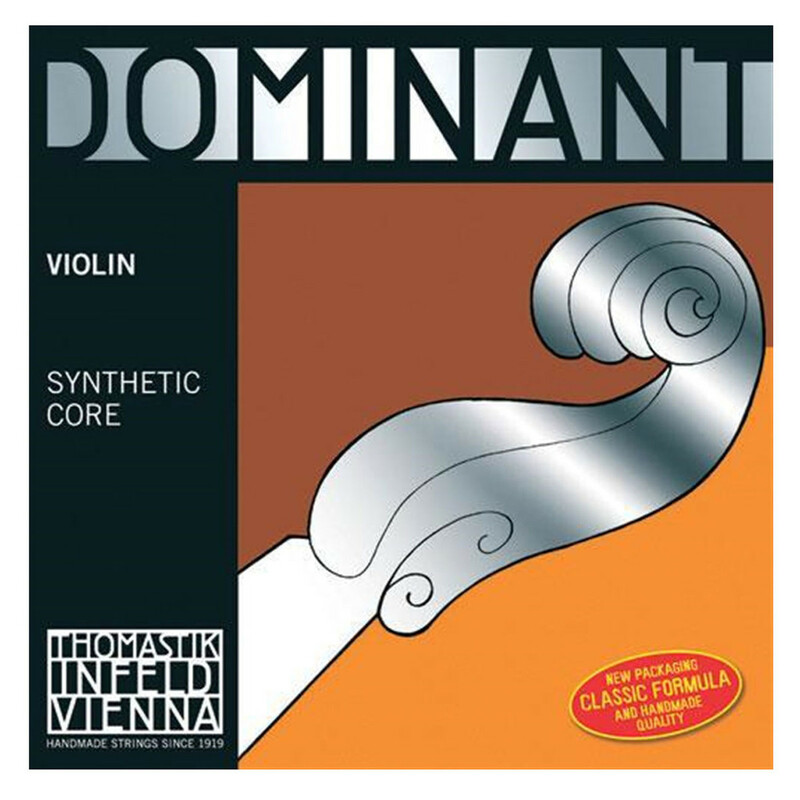 The Thomastik Dominant 3/4 Violin D String brings a great blend of warmth, brilliance and clarity to your playing. Thomastik's Dominant range is resistant to change from humidity which provides durability and reliability, as well as having the tone of real gut. This D string has been aluminium wound for great clarity and tonal versatility. The string is designed for 3/4 size violins, so will naturally bring forward slightly more of the high pitched harmonics. There is also a controlled resonance provided by the violin size, so the Dominant string will have a clear and strong voice.